Hackney E Home, Office Building & Planning | Quality Property Care Ltd.
Organisea visit by an expert to view & assess your needs, discuss your plans and to give you a free consultation, needs and your budget now. Call or contact online the customer support to arrange your visit now! We hire only experienced and well-trained professionals. 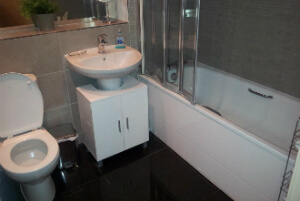 They can give you a hand in bathroom and kitchen decorating, remodelling and painting, all types of electrical works from minor tasks to complete rewiring, tiling, installing solid wood floorings, all types of plumbing works from minor tasks through redesign of the plumbing system to gas related plumbing jobs. If you are going to use professional residential and commercial builders services in Hackney E, make sure it worth it. Kitchen renovation, basement renovation, bathroom renovation or any other commercial and home room renovation requires proper technicians, who you can really rely on. Quality Property Care Ltd. can boast with the best building and planning team that will meet all of your instructions and requirements with individual approach and attention. All the technicians are vetted and insured, so in case of any damages or omissions, we will cover the damages. This is a very rare situation, though. We receive 95% positive feedback. And all of the technicians are educated, well-trained and preliminary prepared in their refurbishment and builders fields. 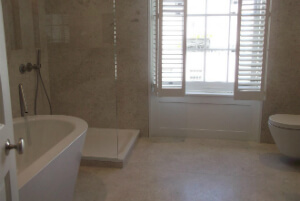 Quality Property Care Ltd. offer a wide range of additional services, however, the main ones are refurbishment, wallpapering, plastering, painting and decorating, tiling services, kitchen fitting, bathroom fitting and refurbishment, rendering. We can work on residential homes, offices, restaurants, bars, pubs, kitchens, public areas. It’s possible for us to work along with other providers, though we do have our very own plumbers, electricians and designers. To book a viewing by an expert from the company, you can call our customer care service at 020 3746 4287 or write an online request. It is easy and quick, and will ensure that your building plans and ideas are reviewed by an expert or team of experts, and that you will be given the best offer in Hackney E for the task. Book your viewing to receive an offer for the high-quality, guaranteed and insured builders services offered by the company now!